The Lacey family has been farming in the Chilterns for seven generations. 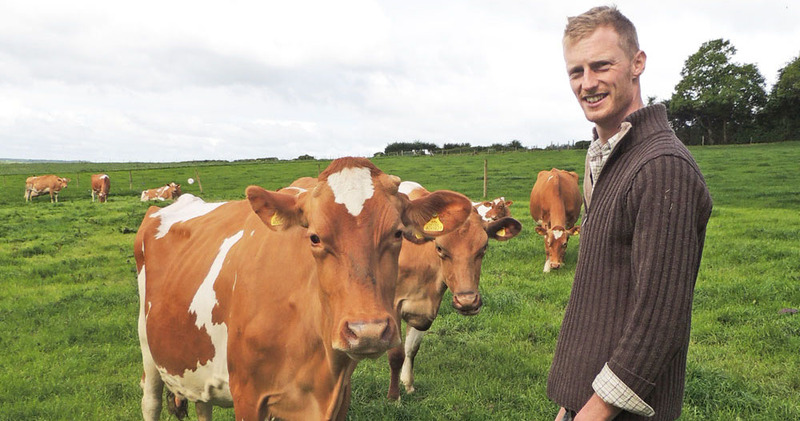 Young farmers (and twin brothers) Ed and Will Lacey grew up collecting eggs with their grandpa on the farm, and now take care of the ‘Guernsey Girls’ with help from their father Daniel and uncle Gideon. 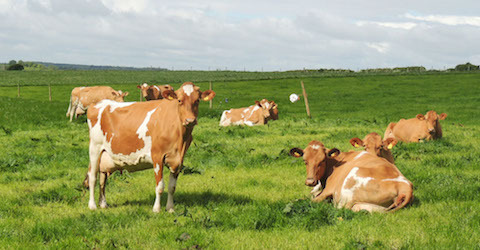 In south Buckinghamshire’s Bolter End Farm near Lane End, the family-run dairy began in the 1930s, with their pedigree herd of 120 ‘Beechgrove’ Guernsey cows. The smaller breed is perfectly suited to the chalky soils of the Chilterns and you’ll spot these friendly fawn-and-white-patched beauties in the grassy fields for eight months of the year. Some of the best-tasting milk in the UK, of course, as one of only two winners of a Great Taste Award for milk in 2013. 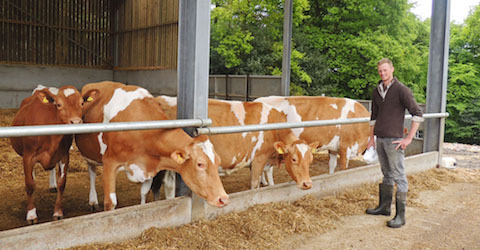 At Laceys Farm the cows are milked twice a day, every day, and the milk is flash pasteurised and unhomogenised for a more natural and creamier flavour and texture. With less processing and in the traditional way, the cream rises to the top. Rich in flavour and full of nutritious benefits, Guernsey cow’s milk gets its special golden hue from higher levels of beta-carotene. With more protein, calcium, omega-3 and vitamins A & D than ‘supermarket milk’, it’s not only your tastebuds that will thank you! From cow to bottle, Laceys Farm milk is as fresh, wholesome and flavourful as it gets.